(RIP the product set up picture I deleted. Womp womp womp.) Hope y'all had a great weekend! 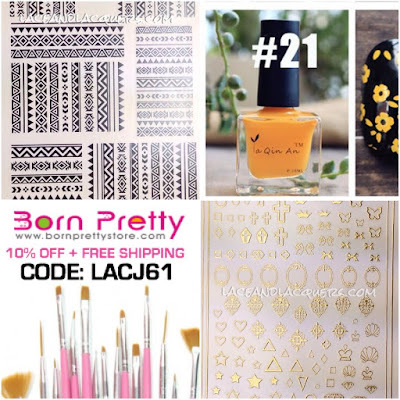 Today, I have a few nail art goodies from Born Pretty Store to share with you today. I have a stamping polish and some nail art decals. I really enjoyed working with these items. Check out what I created after the jump! For this manicure I used the Gold 3D Nail Stickers. 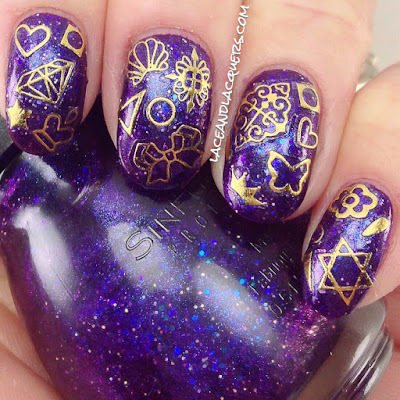 I randomly placed them over my manicure, Sinful Colors Interstellar over Zoya Lidia. Although this manicure is crazy random, I think it ended up looking really cool! 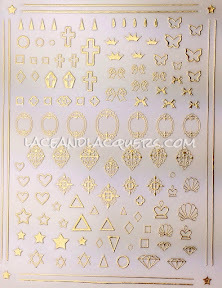 The stickers are great, once on the nail the clear part of the sticker is almost invisible after top coating. They are very flat and are flush against the nail. 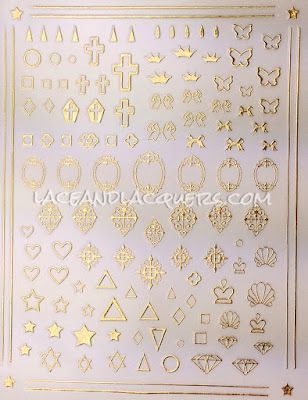 These stickers are also (thankfully) not rigid and easily form to your nail. 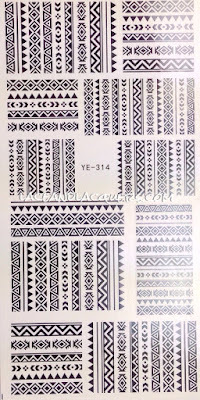 Last but not least, these are the Tribal Geo Pattern Water Decals. 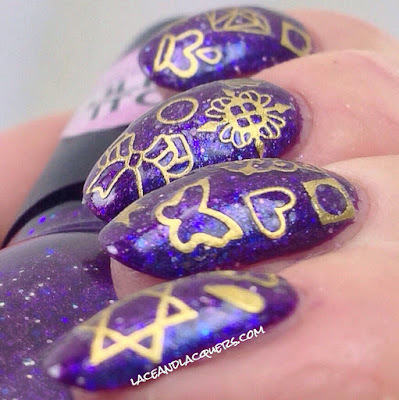 Born Pretty Store's water decals are some of my favorites. 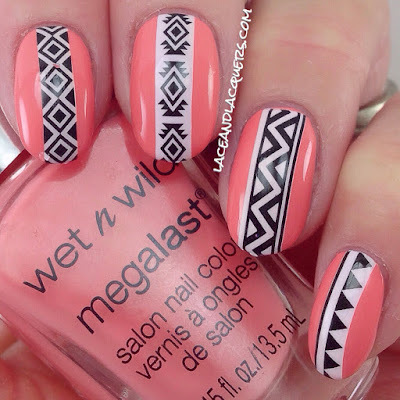 I've never had an issue with them and they're a fun way to add designs to your manis. 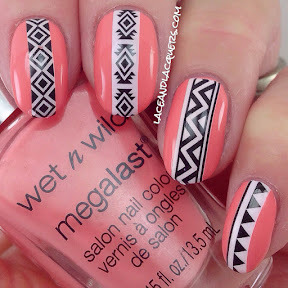 Here I used Wet n Wild Megalast Warm Filter, cut the decals into strips by design and applied them down the center of my nails. 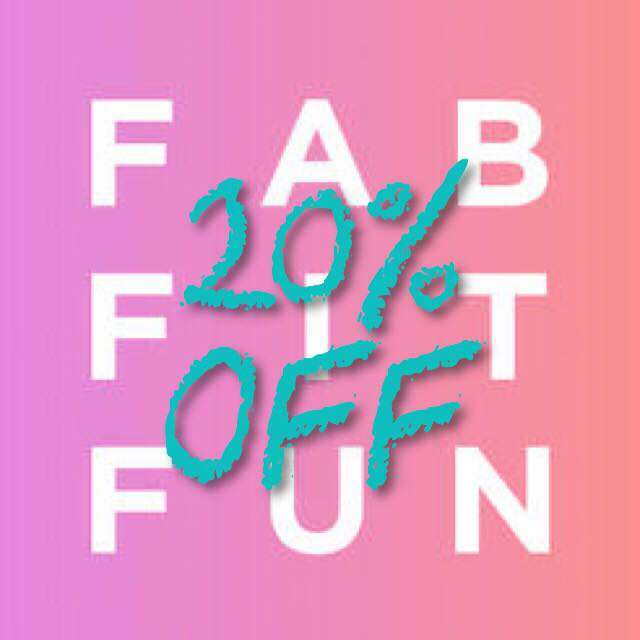 Want 10% off your order AND free shipping? Head over the Born Pretty Store's website and use code: LACJ61 at checkout. 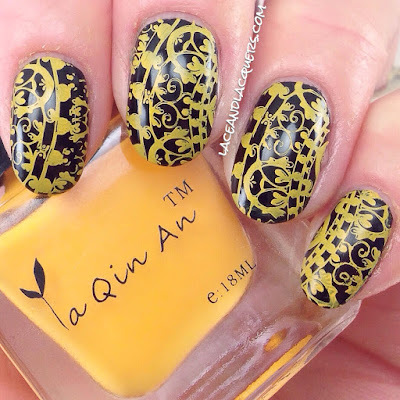 They offer a treasure trove of nail art items at discount prices. 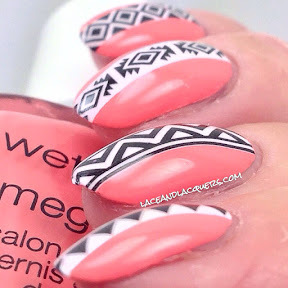 It's a fun website to browse through, so many manicure possibilities! These items were sent for review. My opinions of the brand are my own and are not influenced in any way. This post may contain affiliate links. Please read the disclaimer tab for more information about my reviews.